More than 50 VWGoA employees participate in a food packing event to benefit Virginia-based nonprofit Generosity Feeds. HERNDON, Va., September 21, 2017 /3BL Media/ - Volkswagen Group of America (VWGoA) recently concluded its inaugural Get Involved “Summer of Service” in which more than 450 employees around the country volunteered over 1400 hours with charitable organizations in the communities where they live and work. The Summer of Service featured more than 25 different employee volunteer projects organized by seven VWGoA locations across the United States. The Get Involved Summer of Service is VWGoA’s collective, concerted volunteer effort from May to early September, empowering employees across the country to support and give back to their communities. As part of this commitment to encouraging community service, VWGoA also awarded employees who showed an outstanding level of commitment and dedication to their volunteer projects. The award winners received a plaque and a $2,500 donation made to a 501(c)(3) charity organization of their choice. After a successful, inaugural Get Involved Week in 2015, and a Get Involved Month in 2016, VWGoA expanded its community service push yet again after a large number of employees expressed even more interest in volunteering. While this summer was designated the “Summer of Service,” the company encourages employees to “Get Involved” year-round and supports this through initiatives like matching employee donations and providing employees with a volunteer day, in which the employee is provided a paid day off to serve in their community. 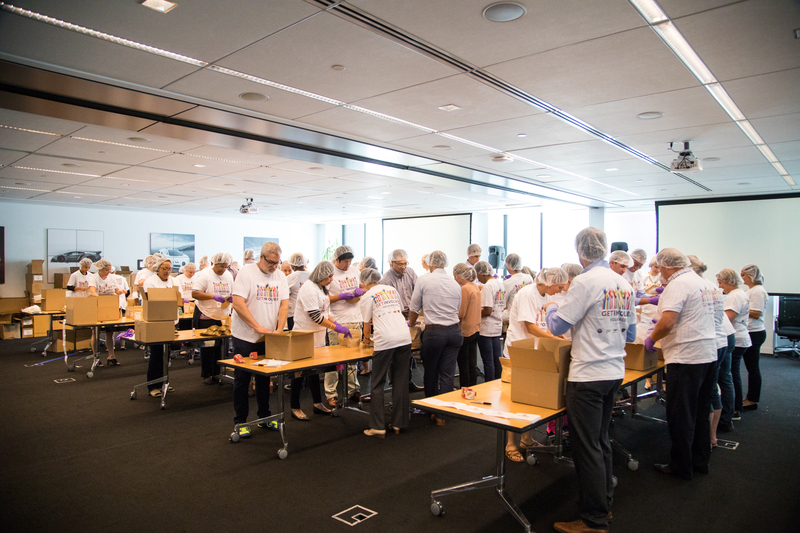 In August at VWGoA headquarters in Herndon, Va., more than 50 employees participated in a food packing event hosted by Generosity Feeds, a non-profit organization dedicated to providing resources for children who are facing food insecurity. “When non-profits and businesses work together they strengthen their communities,” said Stefani Klabunde, Vice President, Mission Management for Generosity Feeds. 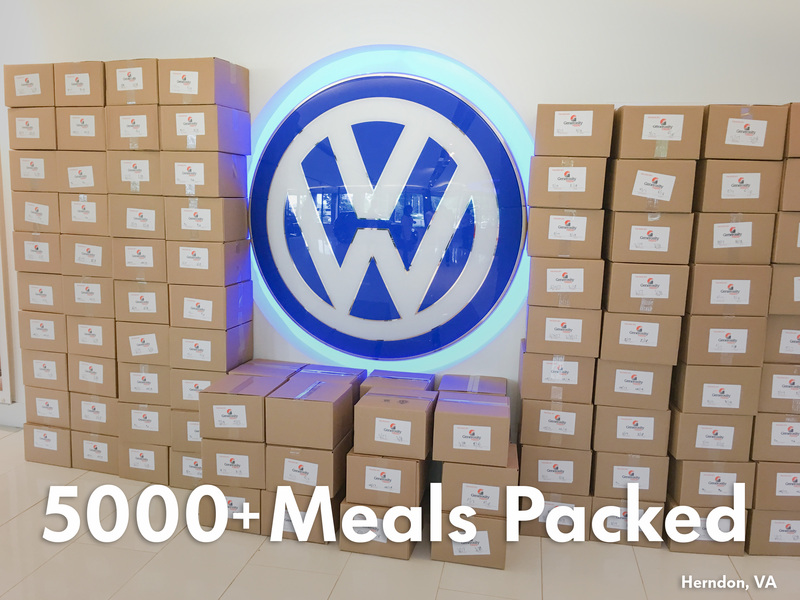 “We are grateful to Volkswagen for the work they are doing to strengthen their community and offer children hope." Volkswagen Group of America, Inc. (VWGoA) is a wholly owned subsidiary of Volkswagen AG, one of the world’s leading automobile manufacturers and the largest carmaker in Europe. VWGoA operates a manufacturing plant in Chattanooga, Tennessee and houses the U.S. operations of a worldwide family of distinguished and exciting brands including Audi, Bentley, Bugatti, Lamborghini and Volkswagen, as well as VW Credit, Inc. Founded in 1955, the company's headquarters are in Herndon, Va.; the company has approximately 6,000 employees in the United States and sells its vehicles through a network of approximately 1,000 dealers.